Purchase your iRobot with peace of mind with 1 year local (SG) warranty. Wish to keep your house clean and dust free? Get the iRobot Scooba 450 (Latest Model) cleaner that efficiently washes, scrubs, and wipes your floors. Thanks to the iAdapt Technology, this iRobot cleaner senses dirt and cleans every corner of your room multiple times, thus maintaining a sparkling clean and organized environment. This floor washing robot is ideal for use on select hard floor surfaces, tile, linoleum, vinyl, marble, slate, stone, and sealed hardwood. The new Scooba 450 is the only robot that scrubs hard floors so you don't have to. Just fill the tank, press CLEAN and the Scooba Three-Cycle Cleaning Process automatically sweeps and pre-soaks, scrubs, then squeegees your floors, tackling stuck-on messes and washing away over 99.3% of bacteria. * Scooba 450 is the perfect choice for brilliantly clean hard floors, every day, the easy way. 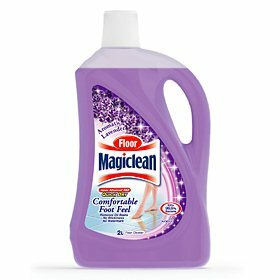 Works well with Kao Magiclean Floor Cleaner Solution. Scooba 450 delivers maximum cleaning performance. 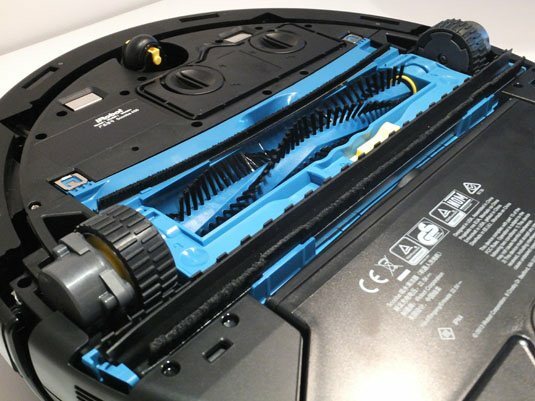 The key is iRobot's Pre-Soak Technology, developed as part of the Scooba Three-Cycle Cleaning Process. Scooba sweeps up loose dirt and debris and puts down a thin sheen of water or iRobot Hard Floor Cleaner to soak into any stuck-on messes. A scrubbing brush spins at over 600 RPM to remove grime while the squeegee vacuum suctions dirty water off the floor. Ends with a final squeegee-finish cycle. Use Scooba 450 anywhere you would use a mop and bucket, including tile, linoleum, vinyl, marble, slate, stone and sealed hardwood. Unlike a mop that reuses dirty water, Scooba uses fresh solution from start to finish. Easy To Fill And Empty: Fill and empty the tank in seconds without fuss. Two Cleaning Cycles: Choose from a full 40-minute cycle or 20-minute cycle for smaller spaces. Cleans With Water Or iRobot Hard Floor Cleaner: Use water or iRobot Hard Floor Cleaner for a deeper clean to wash away bacteria. Avoids Off-Limit Areas: A Virtual Wall® keeps Scooba in rooms you want to clean and out of ones you don't. 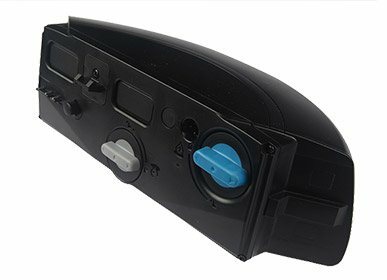 Compatible with Roomba® Accessories: Scooba 450 is compatible with Roomba Virtual Walls, battery charger and batteries. Talks To You: The information button and audible cues give you insight into robot behaviors. Simple To Clean: Removable cleaning head makes for easy access to brushes and squeegee for a quick clean by hand. 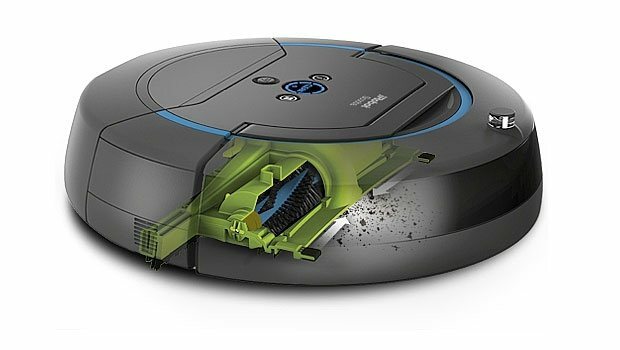 The new Scooba 450 is the only robot that scrubs hard floors so you don't have to. Just fill the tank, press CLEAN and the Scooba Three-Cycle Cleaning Process automatically sweeps and pre-soaks, scrubs, then squeegees your floors, tackling stuck-on messes and washing away stains. 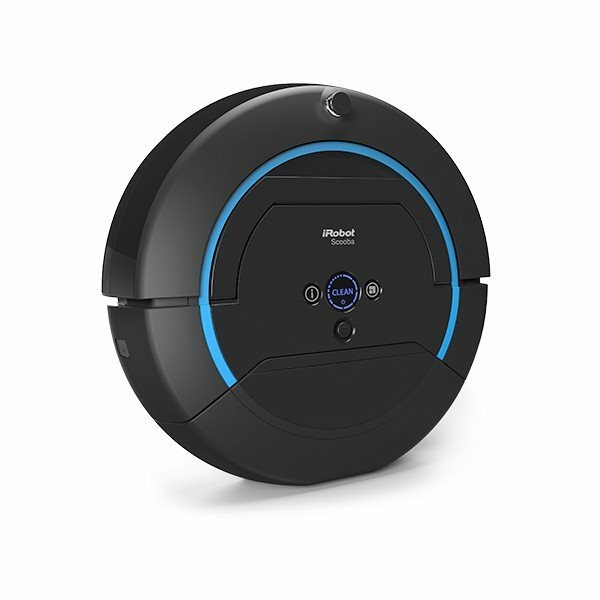 Scooba 450 is the perfect Robot for cleaning hard floors.